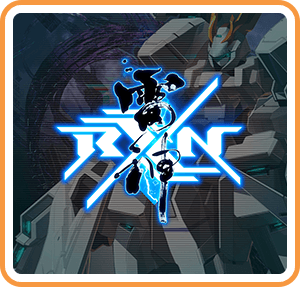 Developed by GULTI, the creators with a great history of shoot’em up games such as Mamoru-kun Curse!, Strike Witches, Space Invaders Extreme, and Raiden Fighters Aces, RXN -Raijin- is a brand new entry to their catalog, and it is currently only available on Nintendo Switch. 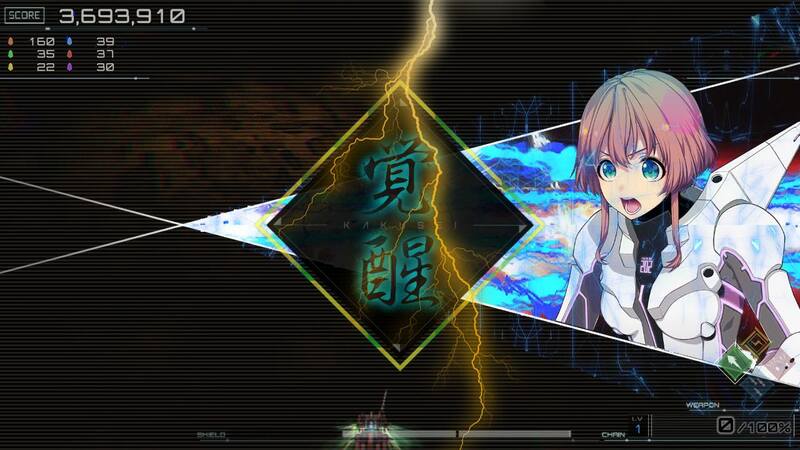 RXN is a vertically scrolling bullet hell shmup, but it uses the full widescreen ratio of the Switch and modern TV screens instead of using the screen rotated 90 degrees vertically, so there is more horizontal screen area than there is vertical, which is a rarity for this genre, and this makes for an interesting and fairly unique take on this style of game for a few reasons. Since the game runs in the ratio mentioned, there is not a lot of room for enemies to appear in the space above the player, so the game often packs in many enemies and bullets coming from the left and right sides that can attack you from the sides more than ones that attack from closer to the middle of the screen. 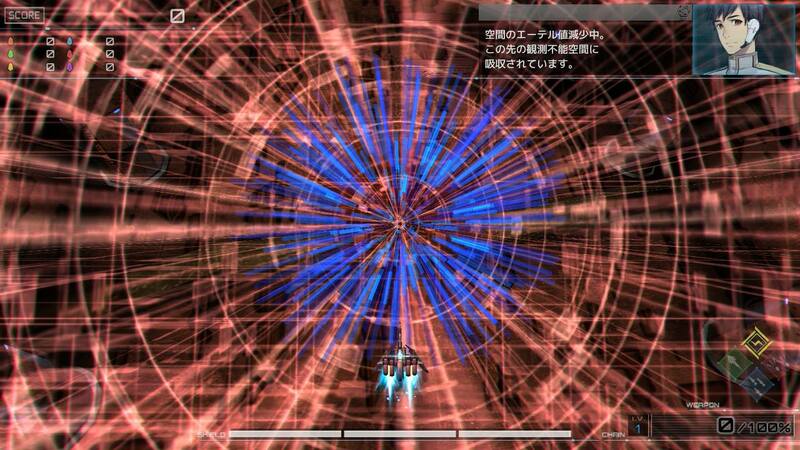 To compensate for this, all characters have some attacks that are able to shoot out to the sides a fair amount, making the gameplay more horizontally-oriented than most vertical scrollers. The way the game’s stages are set up is also fairly unique, in that it doesn’t pack most of the game’s content into 4-6 longer stages like most games of this style, but instead breaks up all the different waves and scenarios into 30 shorter, 2-3 minute stages that can be tackled one at a time and selected from a “mission map” of sorts, which works well with the portability idea of the Switch console. Many genre veterans will scoff at this idea and probably think it makes the game “too easy,” but they packed a ton of intensity and difficulty into each one of these stages, and some of the later bosses become a very intense struggle that can last for upwards of 3-5 minutes, and with one too many mistakes, you have to start the whole fight over again. 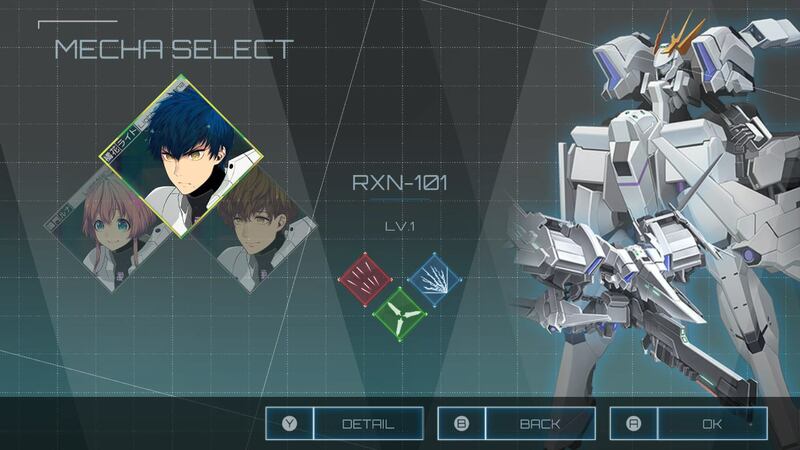 RXN features three different playable characters and mechs that go along with them, as well as three different weapons for each character, plus a bomb/screen clearing attack that depletes 1/3 of your health meter to use. As you play through the game and collect the collectible gems from destroying enemies, they act as XP, allowing you to level up your character, giving some very slight performance and power upgrades, but nothing that ever makes a huge or noticeable difference. The art style and music featured in the game is very high quality, with some very colorful and good-looking backgrounds, bright bullets of many colors, flashy explosions and visual effects, and some well-done HD anime art for the characters. The music runs the gamut of typical shmup music, but excels at the task, featuring lots of ambient electronic/break beat tracks as well as some high-octane, furious heavy metal/rock tracks for the more intense boss fights, and it all comes together for an exciting experience to go along with the more calm, strategic moments as well as the nail-biting, more difficult sections of the game. 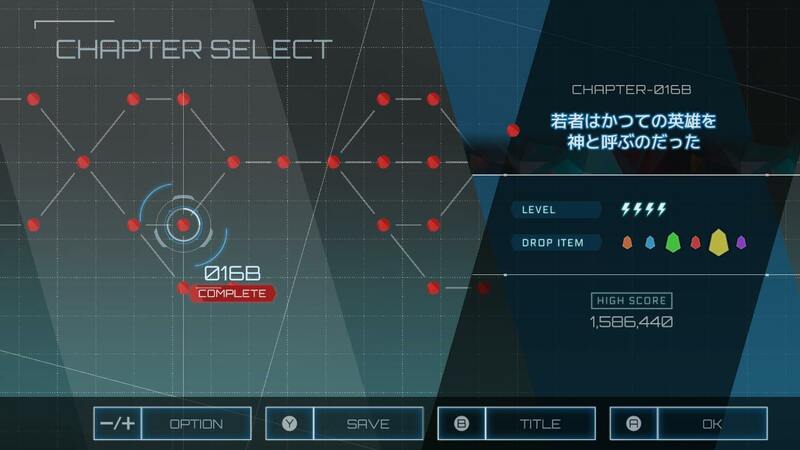 Including the time it will take most people to finish some of the later stages with many retries, finishing the game will require at least 4-6 hours of solid gameplay, outside of going for higher scores or rankings. 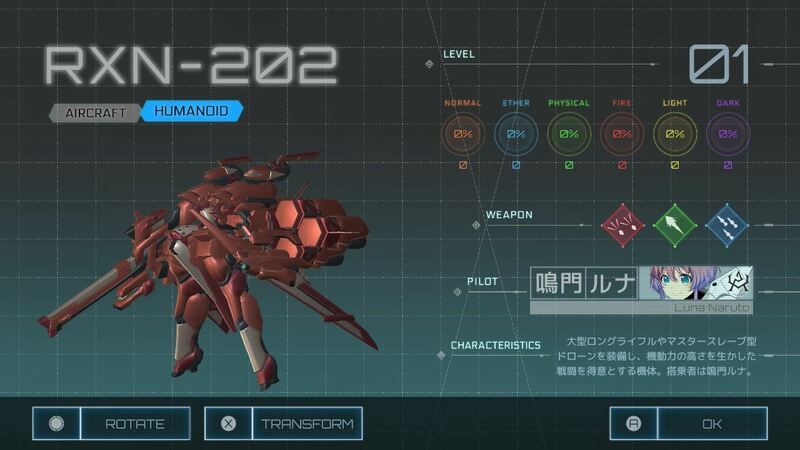 This makes the progression through the grid-based story mode feel more like a campaign or a journey instead of having the shorter, arcade-feel that most shmups have, similar to something like the longer campaign mode featured in recent games like Darius Burst: Chronicle Saviors. One of the only real flaws I found with the game would be the controls, for a few reasons. With bullet hell games, an arcade stick is the ideal way to play them, but in this case, having an arcade stick for the Switch is very impractical, since there’s only about 3 games that would really utilize it. As far as using the regular controls of the Joy-Cons, the D-pad buttons usually make your ship move a little too much in whatever direction you push, and can cause some bad collisions because there isn’t enough precision to do smaller movements. Analog sticks are generally always the least preferable option for shmups, but aside from spending $150 on an arcade stick that you’d only use for a tiny handful of games, the analog stick is oddly the best option here. The game runs well in both docked and portable mode, with occasional slowdown that seems rather intentional and certainly doesn’t break the game in any way, but I have to say playing on a small portable screen can get a little more taxing at times, having to hold the heavy system in your hands or squint to see the bullets you’re dodging from time to time. RXN is only available digitally at the moment, with no announced plans of a physical release, and the price sits at a hefty $40, which is pretty high for this type of game, especially digitally, but if you’re a fan of the genre, this is definitely one of the better modern entries into the genre that’s available for consoles. 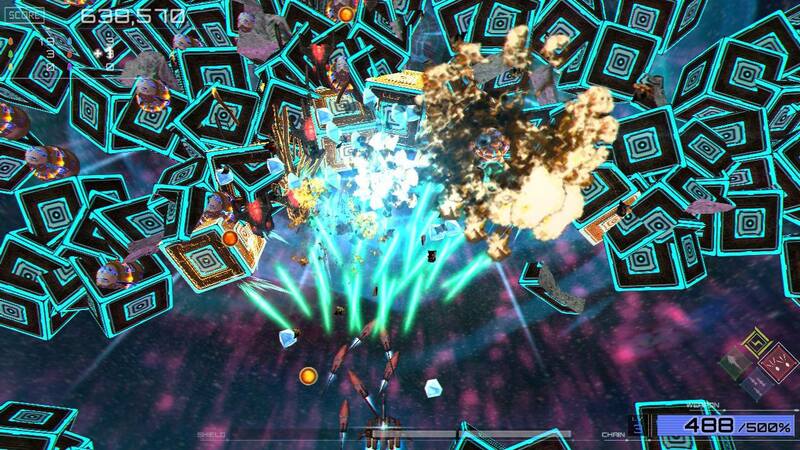 If you enjoy vertical shmups and are looking for a little variety with some pretty high production values, this may be worth your while if you own a Switch. The difficulty may be a little above what your average casual gamer might be able to handle, but for anyone who welcomes the challenge, this should feed your appetite for shooting action.